The kernel module is based on the scsi_debug kernel module (http://sg.danny.cz/sg/sdebug26.html). 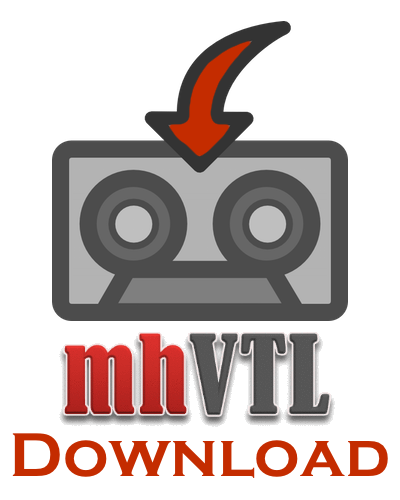 mhvtl.ko is a pseudo HBA (LLD). Note: As of 0.16, there are no default devices. The support scripts will add Drives (SSC devices) & library (SMC) depending on the contents of /etc/mhvtl/library_contents and /etc/mhvtl/device.conf. A char device back-end has been included with the vtl LLD driver This allows data and SCSI commands to be passed from the LLD to user-mode daemons (SCSI targets) which constently poll the driver and process any outstanding SCSI commands. vtltape(1) is the usermode SSC target daemon which writes/reads data to data files in the /opt/mhvtl directory (if a virtual tape has been loaded). The virtual tape files include a Medium Auxiliary Memory (MAM) data structure to store persistent data (number of tape loads, total data written/read, media type etc). vtllibrary(1) is the usermode SMC target daemon which reads its configuration from the file /etc/mhvtl/library_contents(5) at startup. The number of storage slots are built dynamically when the daemon starts. Hence changing the number of storage slots and media access slots are a matter of modifying the file contents and restarting the vtllibrary(1) daemon. All ‘library’ commands are performed on data structures in memory ONLY. A utility vtlcmd(1) is used to administrator the daemons vtltape(1) and vtllibrary. Message queue (key 0x4d61726b) is used to pass messages between vtlcmd(1), vtllibrary(1) and vtltape(1). When a SCSI ‘move medium’ from a storage slot to a tape drive is requested, the media location is updated in vtllibrary(1) data structures, and the barcode of the media id is passed via the message queue to the vtltape(1) daemon in question. A file open of the barcode is attempted in the /opt/mhvtl directory and if successful, the vtltape(1) daemon will now return a ASC/ASCQ 0x0/0x0 to any Test Unit Ready requests. An unload SCSI command to the tape drive will close the data file. Where index is the message Q offset associated with the drive (or the string ‘library’). A listing of TapeAlert flags can be found at t10 home page for SSC devices Annex A.